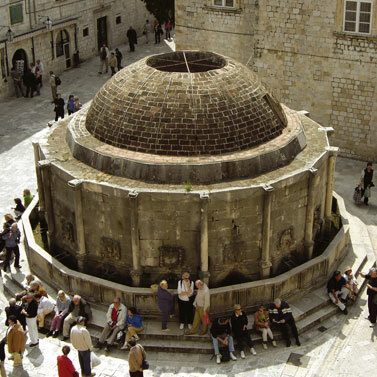 As a UNESCO World Heritage Site with a history that goes back more than 1,000 years, the Old Town is very much the jewel in Dubrovnik’s crown – and, like its surrounding walls, it has been painstakingly restored since the wars that led to the break-up of the Yugoslav state. But the city also boasts a number of additional attractions – from museums housed in palatial Venetian-Gothic buildings to art galleries, an aquarium and 48 churches. The city’s Cathedral Treasury houses more than 100 priceless relics, including the remains of Saint Blaise’s head, carried triumphantly around town every 3 February. A trip to Dubrovnik would not be complete without at least one traditional Dalmatian meal. The seafood is especially delicious and good value. But if fish and shellfish don’t appeal, try one of the regional meat dishes, such as steak or veal in a rich, flavoursome sauce. Best served al fresco with an ice cold beer or glass of wine. Dubrovnik has two beautiful peninsulas, Babin Kuk and Lapad, both of which have cool, wooded hillsides and rugged coastlines. A walk around either will reward you with spectacular sea views, but the longer journey around Babin Kuk will offer additional panoramas of the Elaphite islands and Croatian mainland, as well as Gruz harbour with its numerous boats. There are several excellent beaches along the way. Dubrovnik’s scorching summer temperatures and crystal waters will make a day at the beach almost impossible to resist. There is a beach to suit every taste – from quiet, sheltered coves and Italian-style lidos to bigger developments with games and watersports. 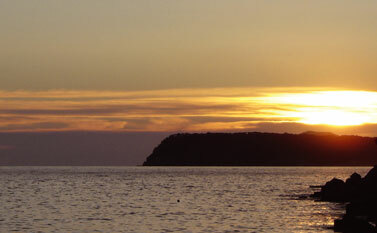 If you fancy getting an all over tan, Lokrum has the area’s only official naturist beach. Dalmatian sunsets are spectacular, not least because they seem to be exceptionally fast. There is nothing better than sitting in a beachfront bar and watching a blood-red sun sinking into the sea – preferably while you’re savouring a glass of good Croatian wine.